Out of charge on your mobile? Start pedalling! 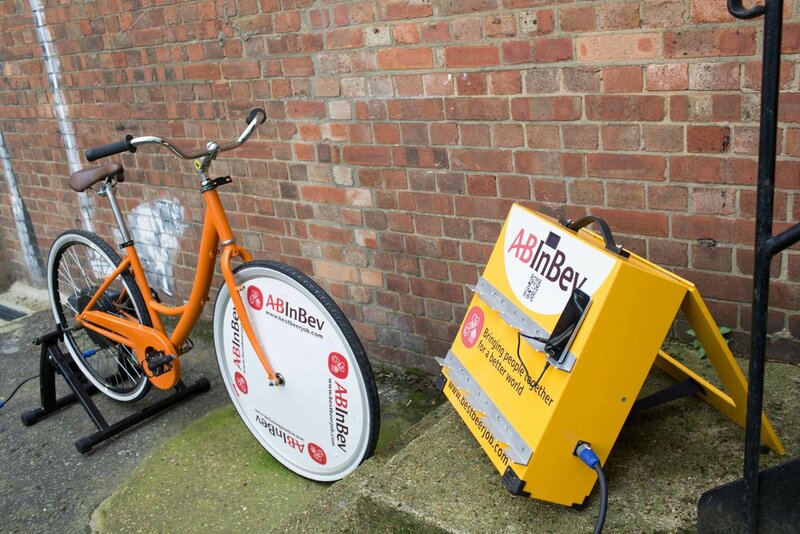 Our Bicycle Phone Chargers use the energy from cycling to provide power to charge mobile phones. 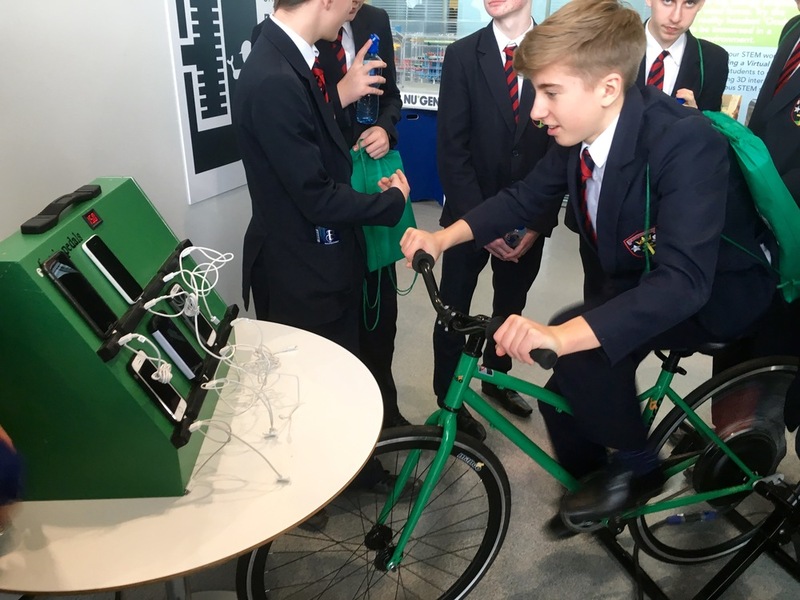 This activity is a great way to combine technology and exercise to raise awareness of energy consumption and promote ideas of sustainable transport and exercise. Because this equipment uses no mains power, it can be run absolutely anywhere. It is portable, simple to set up and use and requires little to no maintenance. Our Basket Phone Chargers are great for corporate events, festivals, expos etc. In fact, they work at any event where people depend on their phones! Just hop on, plug in and start pedalling! It charges just as quick as at home (about 1% per minute). All the electronics are neatly tucked away in front basket. Fill your basket with flowers, promotional material or whatever else takes your fancy. Basket. Fill it with your favourite things! Plug in and play! Use a single bike to charge up to 8 phones simultaneously. Because this system is so easy to set-up and use, it is ideal for dry hiring. Alternatively, you can hire our team of experts to support your event. 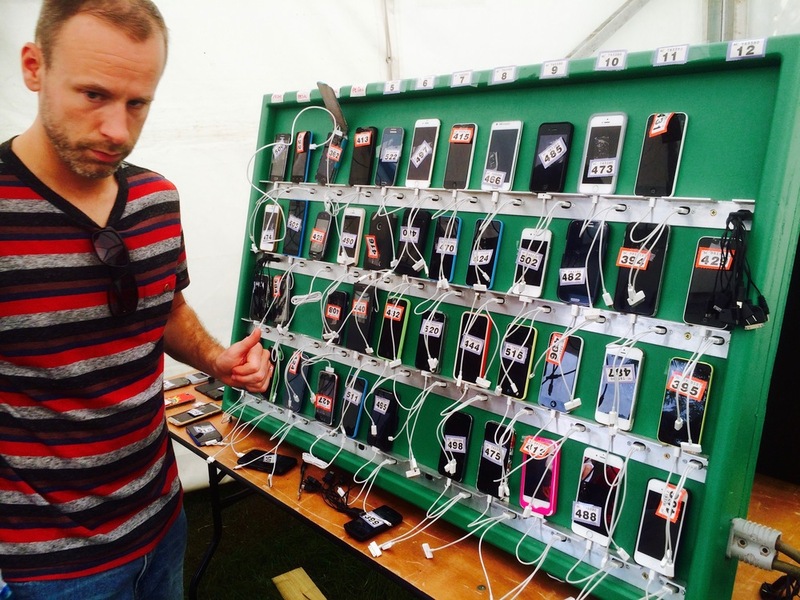 Have a major event that needs a lot of phones charged? 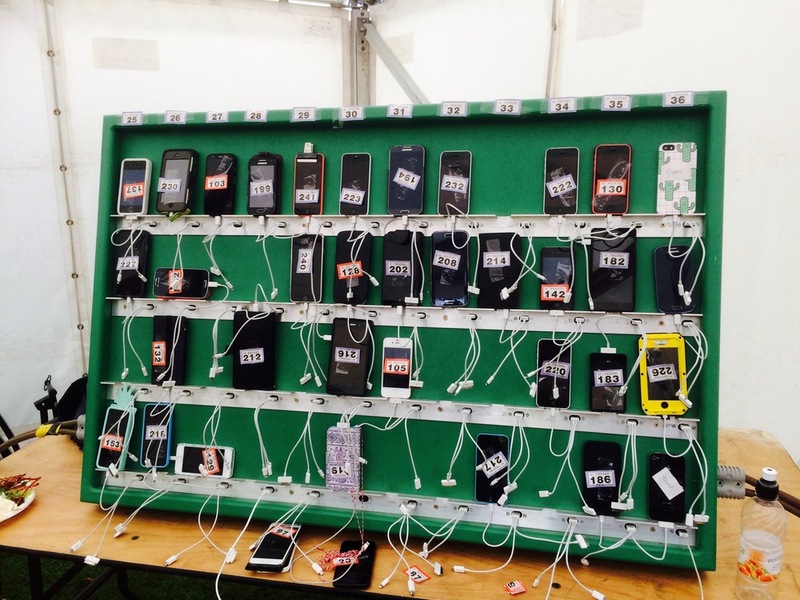 Over the last few years we've used our big bicycle phone chargers to keep phones alive at a number of festivals including Bestival, Shambala and Greenman. Without the use of any mains electricity or batteries! 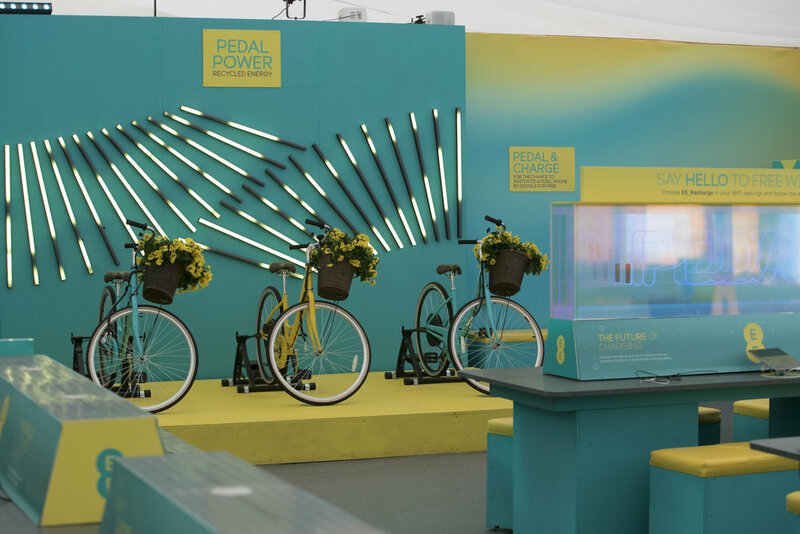 Using the energy from up-to 20 adults and kids pedalling provides enough power to charge up to 150 mobile phones! This is a great engagement activity for large scale events. Add our Boombox Sound System to keep the cyclists motivated. Disco-power! Hand generators for wheel chair users. We can offer a variety of branding options including wheel discs and full unit re-branding. Dry hire when you collect/return the equipment. We are based in Peckham, South London, SE15 3SN.